$69 Portable service charge for all buildings with elevators. not Valid in all areas. Call for details. Coupons may not be combined with any other offer. Not valid with any other offer. With Valpak® coupon only. Must present coupon at time of order. Coupon void if altered. Expires 05/07/2019. Call or Visit www.SearsClean.com. The professionals at Sears Dryer Vent Cleaning can help. Using advanced equipment, our technicians will inspect your vents for problem spots like elbows, crevices, bends, and long vents, where clogs tend to occur. 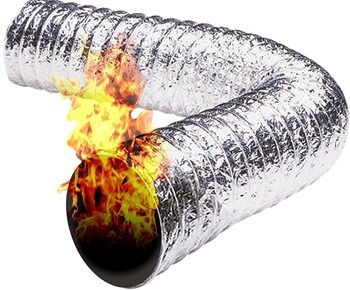 When lint builds in your dryer vent, it creates tremendous heat that can turn your vent into a furnace. Flammable debris such as lint can become deadly when unmoved. Further, clogged dryer vents can compromise the functionality of your unit, and your home’s indoor air quality. The professionals at Sears Dryer Vent Cleaning can help. Using advanced equipment, our technicians will inspect your vents for problem spots like elbows, crevices, bends, and long vents, where clogs tend to occur. Please fill out this form to have an Agent contact you about your next dryer vent cleaning!